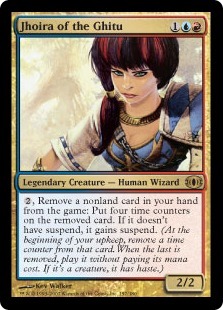 When I first was introduced to Commander (back then known as EDH or Elder Dragon Highlander) I loved playing free-for-all’s and this seemed to be a fun upgrade. 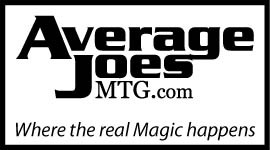 Growing up I played cards in a place called Downtown Comics which when it was around was located on Central Avenue in Winter Haven, FL. 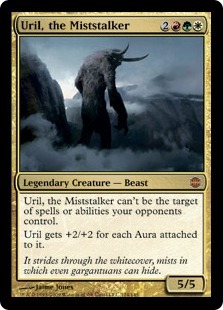 Here is a pretty nice Uril, the Miststalker Commander deck. Mo fuggin Riku. What can I say? 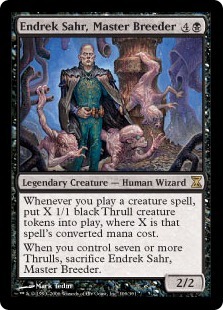 He’s probably one of the most fun generals to build a deck around. This guy doesn’t have one, but two reflections! What a beast! 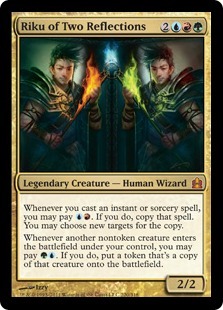 And if you have the oversized foil version of him you can see your own reflection in the card! That’s a f*** ton of reflections! And what does he do while he stands there holding some fire like a boss? Doubles your investments! 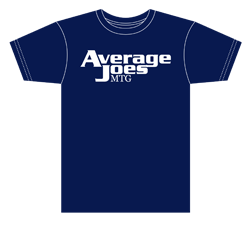 He’s like the best stock broker in the multiverse! And if you abuse his power of doubling stuff, he still doesn’t give a f***! This is my kind of general!